Hello!! Yes, more polish for Halloween! 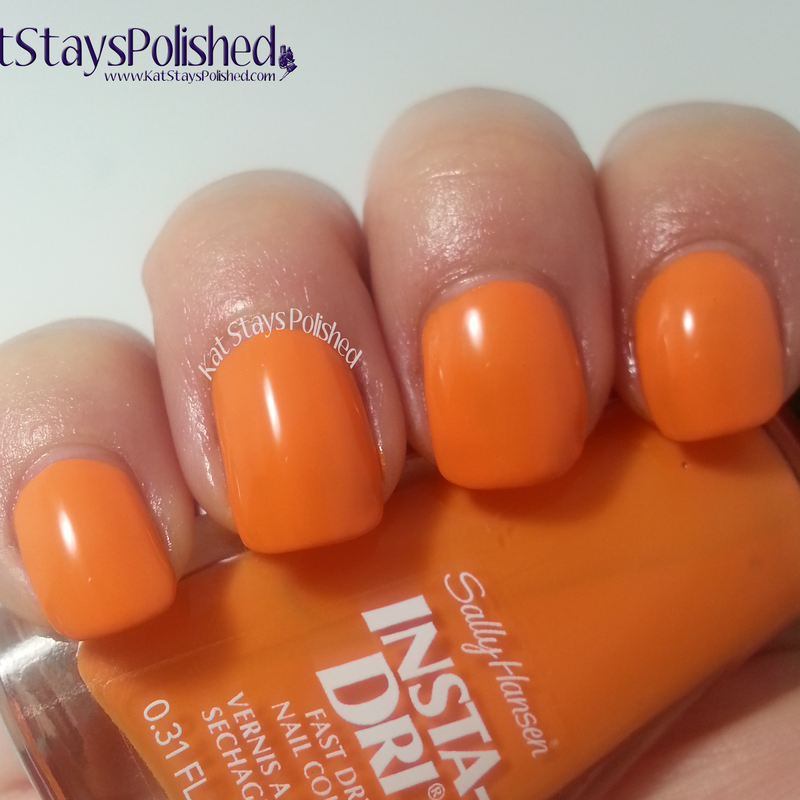 Today I've got 2 Insta-Dri shades and 2 Fuzzy Coat shades from Sally Hansen. Along with the typical black and orange colors, there is a bit of green mixed in too. Pumpkin Queen is bright pumpkin orange. I applied 2 thin coats for full opacity. I love the Insta-Dri line of polish. It really does dry so quickly, especially if you're applying thinner layers of polish. This definitely gets me in the pumpkin mood. 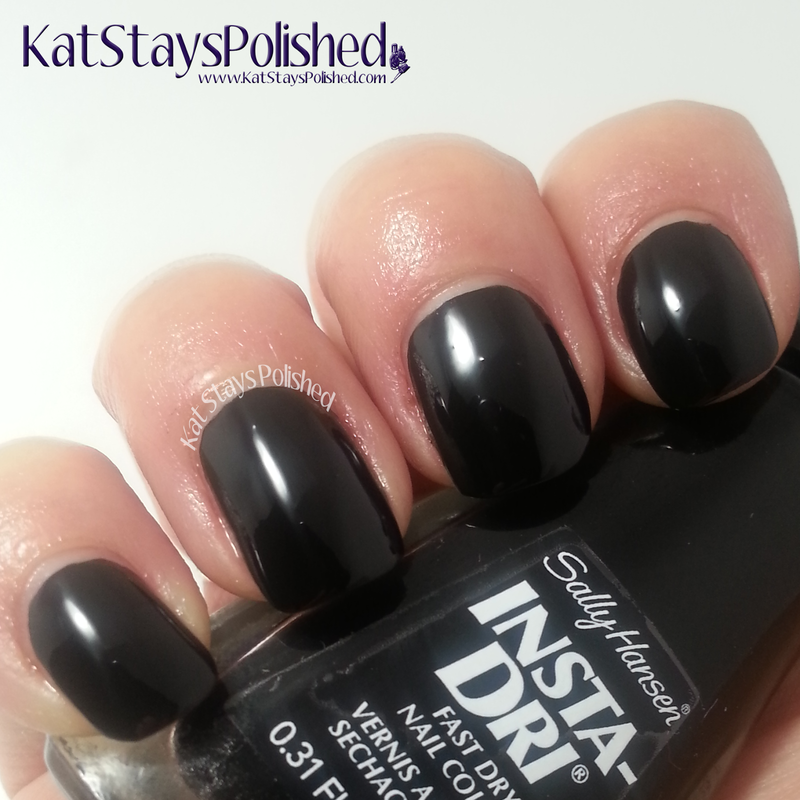 Night Fright is a basic black polish. Of course, you have black and orange for your typical Halloween colors. Again, 2 thin coats to get the coverage I wanted and it dried very quickly. On top of Pumpkin Queen, I have 1 coat of the Fuzzy Coat polish in the shade Fur-ankenstein. Cute name, right? This one has tony black and green bar glitter that really pop against the orange background shade. This one is the Fuzzy Coat in Witch-ful Thinking over Night Fright. Even though there are black and orange bar glitters in this one, I still decided it would look okay on top of the black polish. Would you try this over a green polish? I might consider that for a future mani. Thoughts? 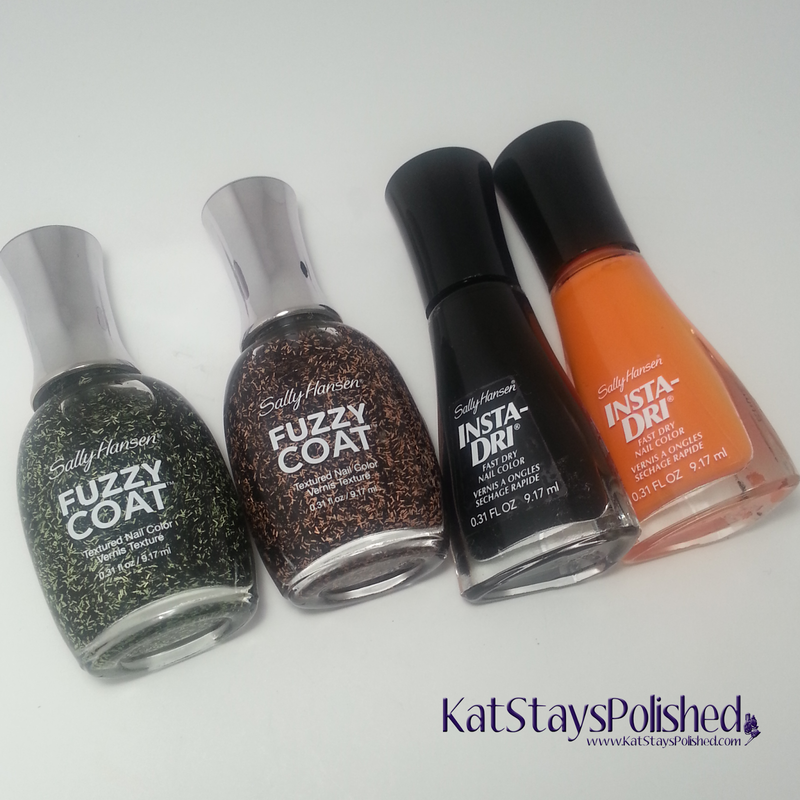 Were you into the Fuzzy Coat polishes when they first came out? 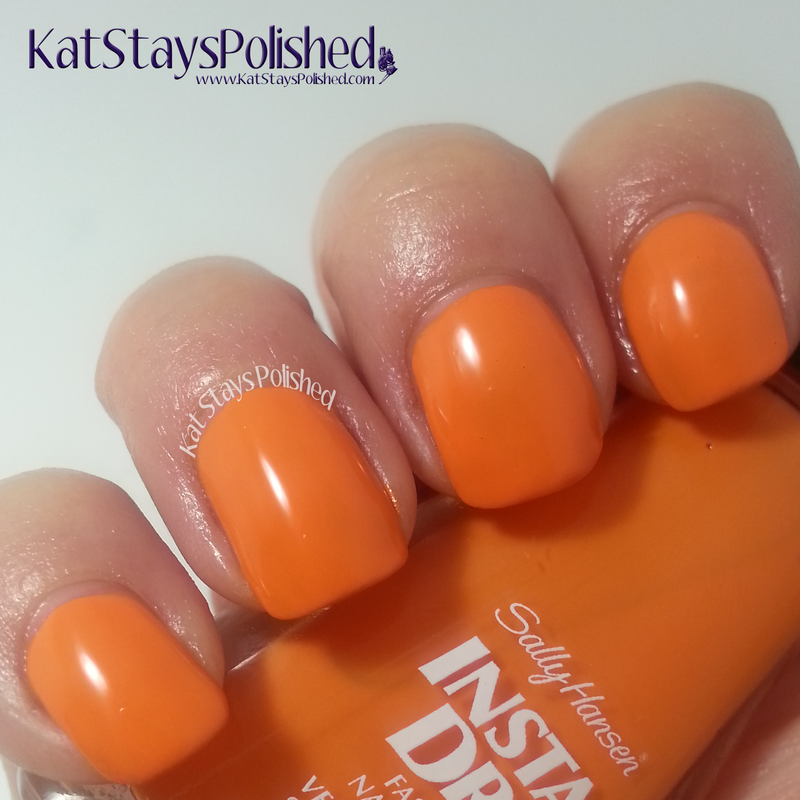 I think these shades for Halloween are super cute and the names are just darling. You can get the Insta-Dri shades for $4.99 and the Fuzzy Coat shades for $5.99 wherever Sally Hansen products are sold. *Products were provided for an honest review. All opinions are 100% my own. I really like that orange creme. Multi-blogger Lorac MEGAPro Palette Giveaway!